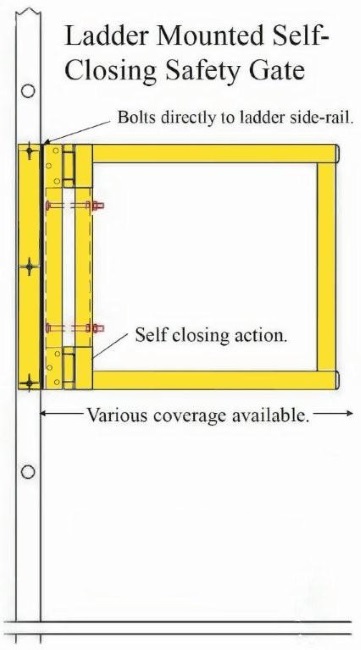 The Protect-O-Gate Self-Closing Swing Gate is pre-fabricated and bolts to existing rail openings to provide a one-way, self-closing gate. 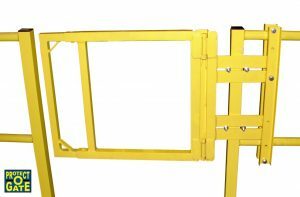 This easily adjusted Swing Gate is a simple and cost-effective solution to comply with O.S.H.A. regulations. Our OSHA Compliant Protect-O-Gate Industrial Safety Gates are proudly made in the USA in our Ohio facility. Most units are custom built to suit our customer's needs. • Choose from three sizes to cover openings from 19" up to 48"
• Carbon or stainless steel construction. 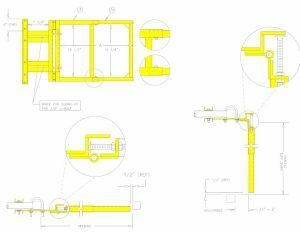 Fits openings from 19" to 27"
Fits openings from 28" to 38"
Fits openings from 39" to 48"
Also available is a 3-rail model Selfclosing Swing Gate which includes a 4" toe plate for added safety against falling objects for those below. 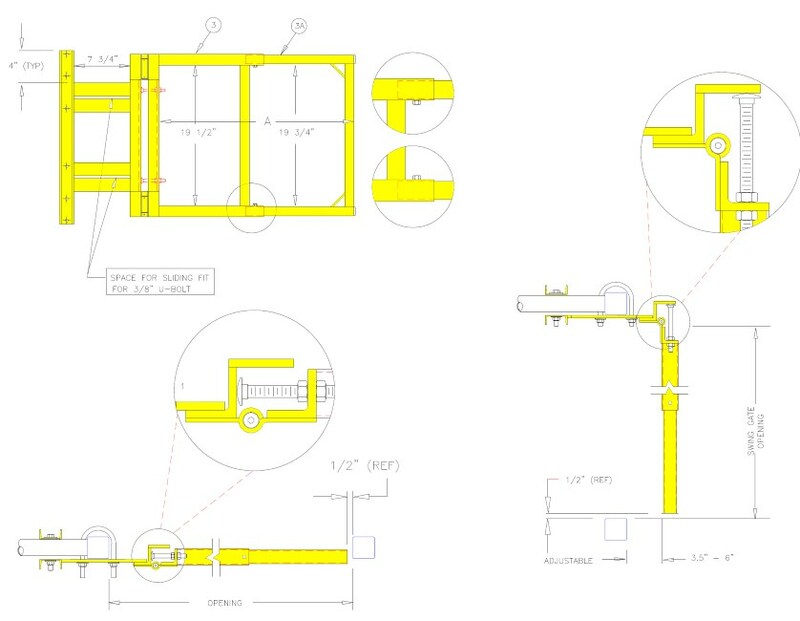 Can also be configured "saloon" style for a pallet 'push-through' system. Optional full length bumpers available. 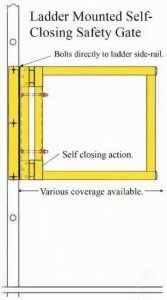 Contact your Benko sales representative today for a quote on any size 3-rail Self-closing Swing Gate models. Custom designed units are available. Our engineering team has over 150 years of combined experience and will develop a solution for your challenging application. thus providing quick installation for important safety and fall protection. 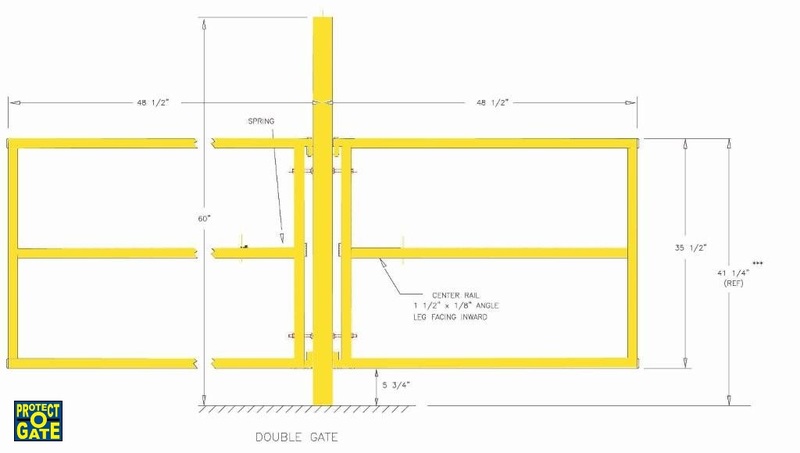 Our 'Protect-O-Gate' line of Safety Gates are backed by years of fabrication expertise and experience. We custom design and build our Industrial Safety Gates to meet your facility's specific needs. 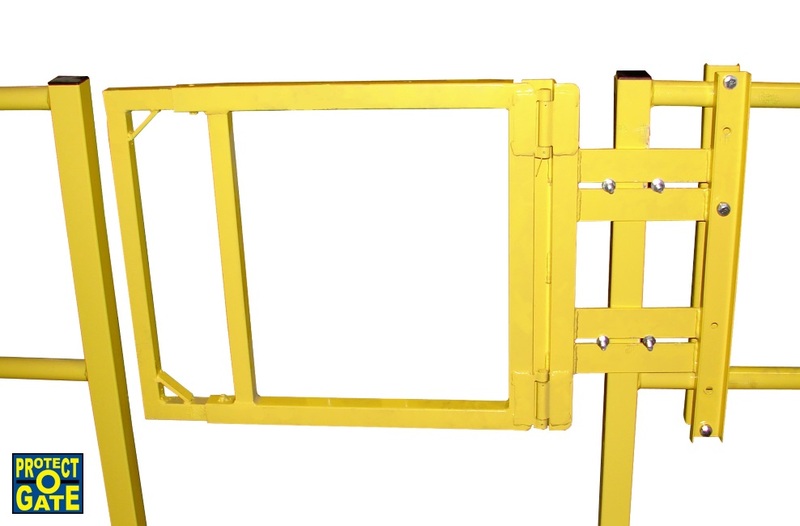 Contact a Benko Products Safety Gate Specialists Today!